Get Your BC Racing Wheel FJ 08's at ModBargains! 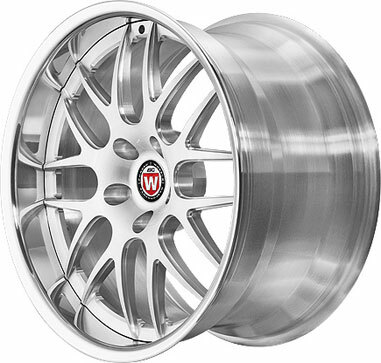 Looking for a wheel that is great in price as well as function and aesthetics? Well you are in the right place! BC Racing Wheels makes every wheel model out of T6061 aluminum for extra strength and lightness. The FJ 08 bridges the gap between race wheel and luxury designs. The forged face design matched with forged barrels and rolled lips completes that signature look you're looking for. The FJ 08 spoke edges are extremely detailed and stretch to the very edge of the face. Each BC Racing Wheel is customizable to a level that allows you to add a bit of your individuality to your vehicle. You can enhance your wheels with sizing options like lip size, concavity, brake clearance, diameter, width, and offset, which is great news for all of you car fanatics out there! When it comes to aesthetics, function and a great price, BC Racing Wheels' FJ 08 is what you're looking for! So if you're ready to make an order or just have some questions, our car enthusiasts here at ModBargains would love to talk to you! Just call 714-582-3330. The BC Racing Wheels FJ 08 can come in just about any color or finish that your mind can imagine. The limitless customization you can apply to BC's wheels is what gives you car that unique look that distinguishes it from the rest. And with the help of one of our ModBargains product specialists you can order your dream wheel fitment and style in a matter of minutes. So if you're ready to grab a new set of BC Racing Wheels FJ 08's, give ModBargains a call at 714-582-3330. Buying your BC Racing Wheels from ModBargains is an excellent decision. Our product experts will ensure that you order the right fitment and wheel for your car and answer any questions that you may have with ease. We also offer the best customer service in the business, and our delivery times for wheels are quick and easy for your convenience and happiness. We offer great prices on BC Racing Wheels. If you're looking to completely deck out your ride with a new look that's light and strong, grab a set of BC Racing Wheels FJ 08 at ModBargains!